Hungarian Style Pancake Festival @ Budapest 2019. Countless delicious Hungarian style pancakes and with fillings you have not yet tasted until visiting the Hungarian Pancake Festival! 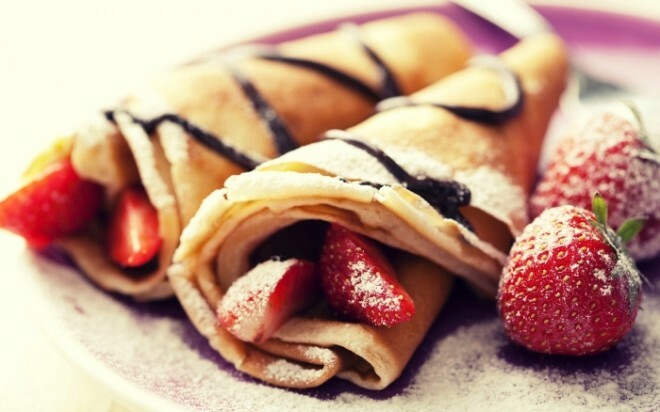 Pancakes around the world … You name it! … Stuffed pancakes, stacked pancakes, granny pancakes, fried pancakes, sweet pancakes, salty pancakes, sausage filled pancakes, chessie pancakes, pancakes burger, pancakes within soup, all kind of veggies filled pancakes and even the very special delicacies that can be made from pancakes. Pancakes styles from different regions of Hungary and cannot leave out the American pancakes. At the stalls offering tasty treats. There are most probably no kids or adults who wouldn’t love pancakes in some form. At the festival see, taste the most interesting, made from the finest recipes to celebrate the event. Pancakes will be only just for the eyes to those people with a healthy lifestyle or those suffering from any food allergies. More than 100 kinds of pancakes or dishes made pancakes in one place. For the Ladies joining the festival will have a special surprise, cause the calendar says if it is 8th of March then sign as Women’s Day! Beyond the exhibitors, there will be a common pancake baking, pancake eating competition, special seasonal hot drinks, wines, pálinka, street music and all our eyes desires. In addition, waffles, chocolates and sweets, hot and cold drinks on the spot. Foreigners, tourist staying in Budapest wish to have a taste of the Hungarian Pancakes … saying “having the sweet pancake of mine” then do not miss the date, mark it on your boots list … join the festival with family and friends. On the Italian Gastronomy World Week, attending at one of the dining restaurant Ristorante Gustolato – Budapest. On a non virtual tasting tour of the best foods of Puglia, Italy to Ristorante Gustolato – Budapest. On the evening it was possible to taste the typical Puglia products, which are the basis of the Mediterranean diet. Puglia cooking is all about local ingredients. A rich gastronomic offer was made for guests based on the Puglia traditions. Among the typical products of Puglia were some of the most famous Italian delicacies the decadent creamy Burrata di Andria and the well-known extra virgin olive oil. At first, had to figure out if the name is Apulia or Puglia, and heard as to clear this up, Apulia is the ancient name of the region, coming from Greek meaning “those who live on the other side of the Adriatic Sea.” Puglia is the modern-Italian name of the region and is used today. Where is actually Puglia !?! … at the heel of Italy’s boot lies Puglia, a land so rich in flavors and local delicacies that it has become a favorite culinary destination for both Italians and tourists seeking real traditional Italian food. At the restaurant can be purchased several Italian pasta, spice accessories, sweets, cakes and many other dedicates all made in Italy.